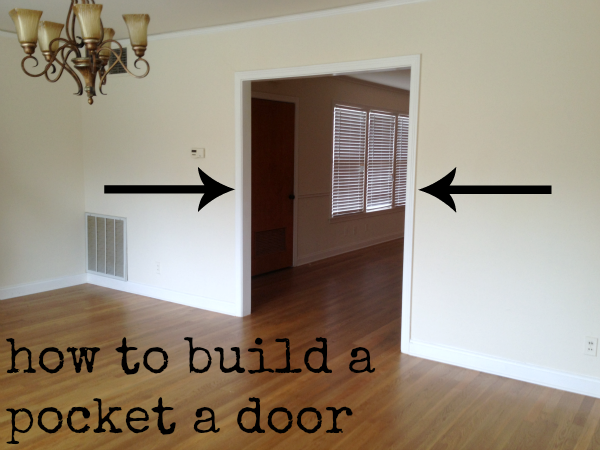 How to build a pocket door - C.R.A.F.T. Ohhh the pocket door. If you follow me on instagram, you might remember a few posts about this bad boy. It was the very first DIY project we did in the new house. I talked about the pocket door in this post about our living room finally looking like a living room 2 1/2 months after we moved in! I gotta back up, for what we’re used to, our house is huge (it’s only 1,900 square feet), but since we’ve been living in 1000 square feet or less, it feels so, so big. It just so happens that our house has 2 front doors and what looks like 2 living rooms. 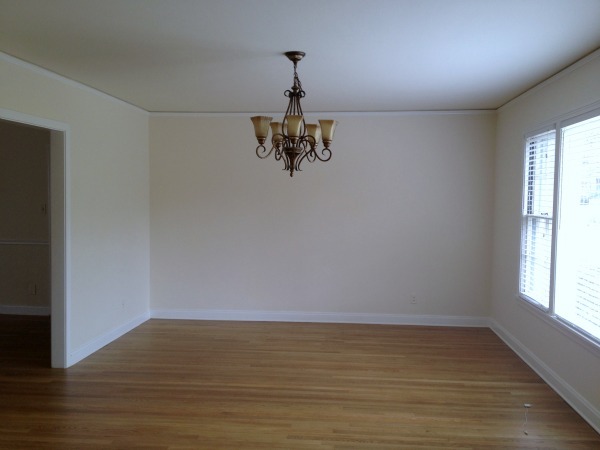 The past owners might have used the second living room as a dining room, but we’re not really sure. So, the house naturally divides itself in almost half. With one bedroom, one bathroom, and a living room on one side and 2 bedrooms, one bathroom, a living room, and kitchen on the other side. 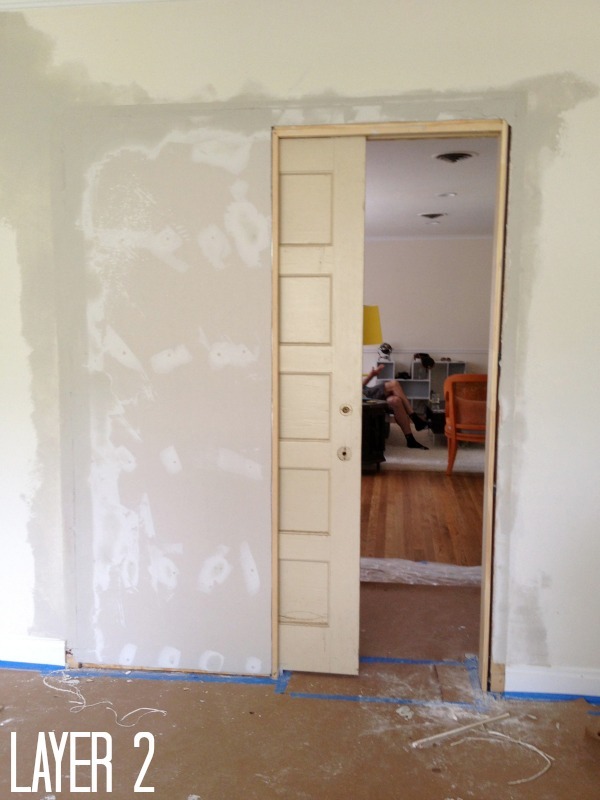 While most people want to open their house up, we stuck a pocket door smack dab in in the middle! Why you ask? 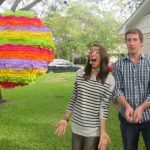 We have friends who rent their homes or rooms on airbnb.com for big events in Austin. They make some extra money and love it. We’re gonna give it a shot! So, to do this we had to officially divide the house so that both sides could be locked up. We chose to do it with a pocket a door for the sake of easiness, and if we don’t like it one day, we’ll just knock it back out! So, here is the original hole separating the 2 living rooms. 10. 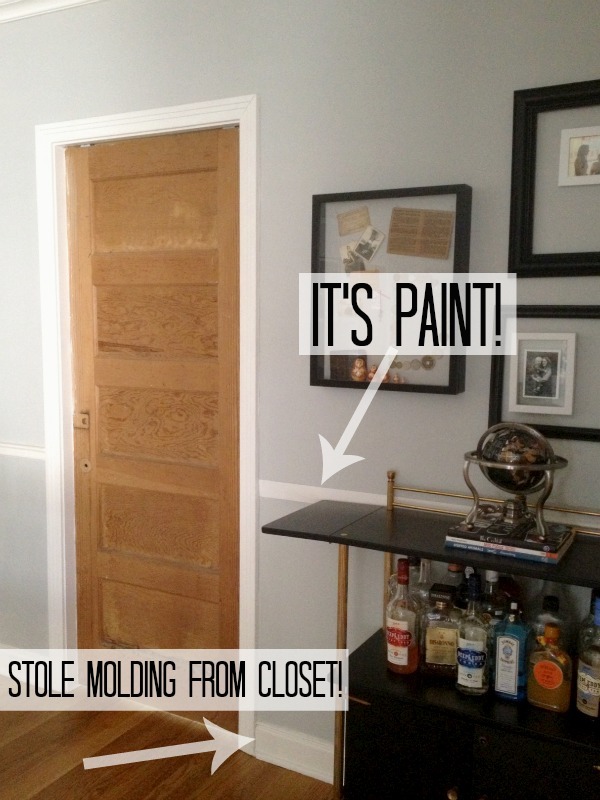 Steal molding from closet for the new wall or paint on molding, like we did in one spot! 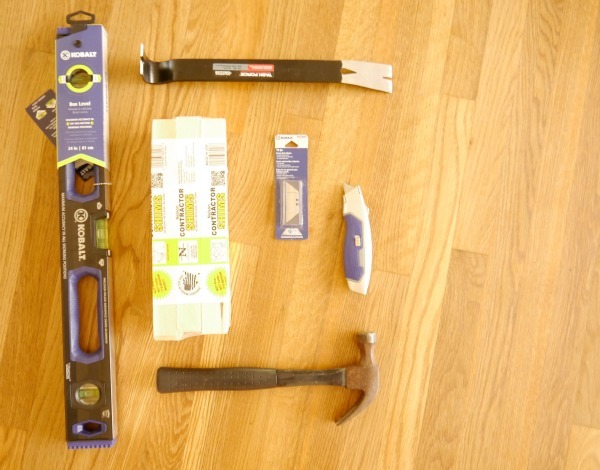 And of course, you’ll need a pocket door kit. We got ours at Home Depot for $81. It does not come with a door. You have to buy that separately. We got a solid wood door at Habitat Re-Store for $25. So, now what? Get excited because this is going to be fun! Not. 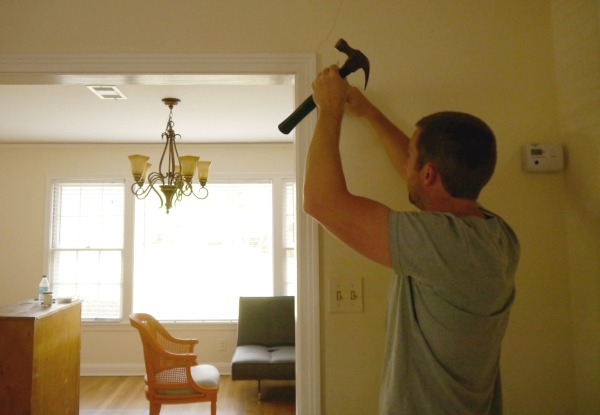 You’ve got all of your supplies, and it’s time to pry off the existing molding with a pry bar and a hammer. Here’s another before of the room. You can see the pocket wall doorway on the left. Here’s some close up action of prying off the molding. You will need to re-use the molding, so be nice. 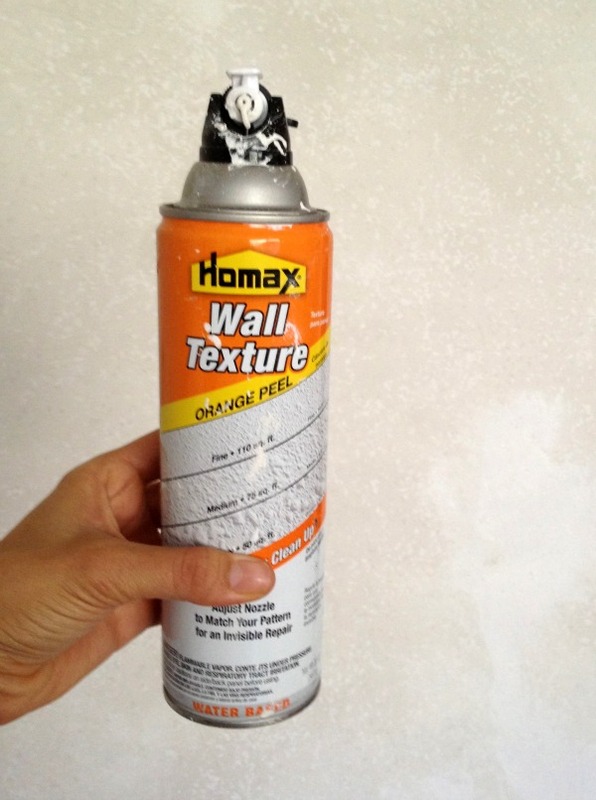 TIP: Using an razor blade to cut the caulk will help the molding to come off easier and you don’t risk peeling your wall paint off. Now, it’s time for the inside of door jam. 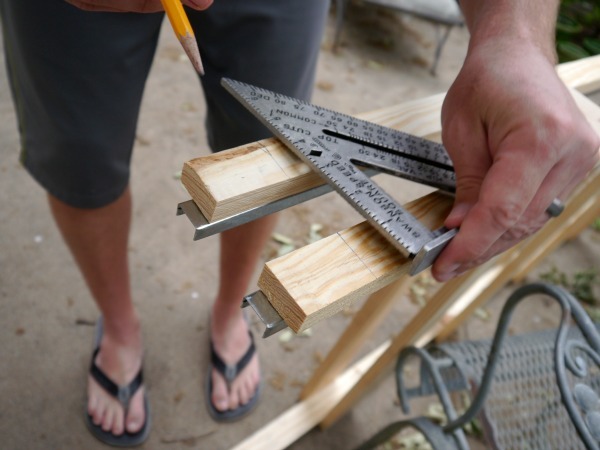 Make sure and remove the wood shims too. 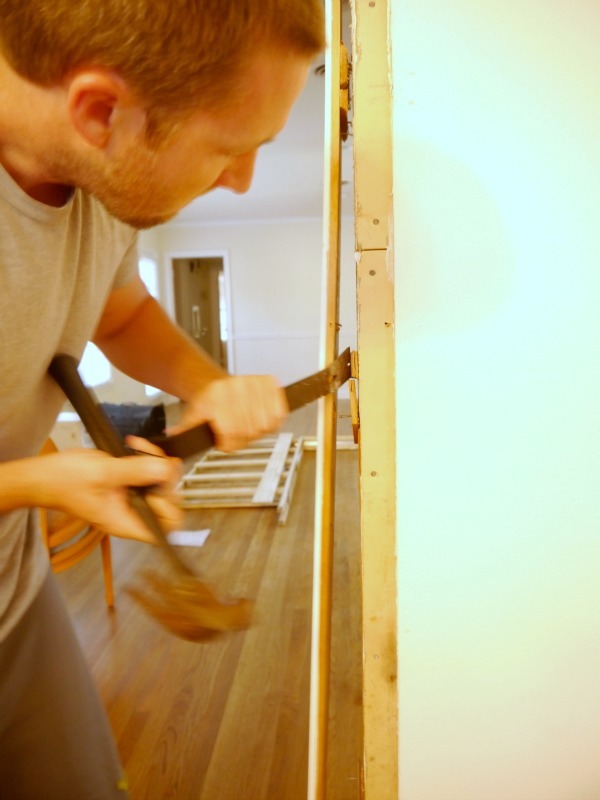 Next up… install the pocket door frame. Andy had to cut off 2 inches off of the frame to make it fit into our hole. Here’s some close up action of the leveled top with lots of wood shims. 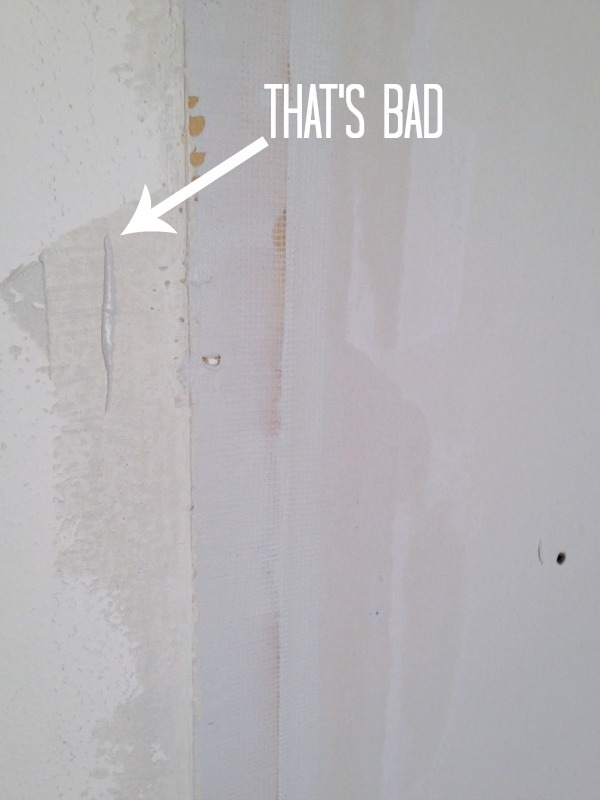 l drilled one side of the sheet rock in, while Johnny did the other side! Make sure and counter sink your screws so that they do not show through when taping and floating. Now, it’s time for the fun part. 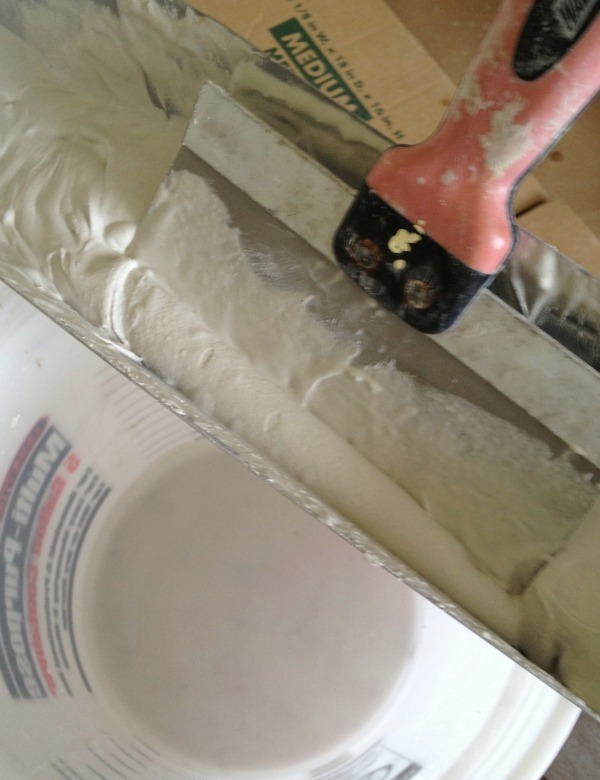 Taping and floating is kind of like icing a cake. 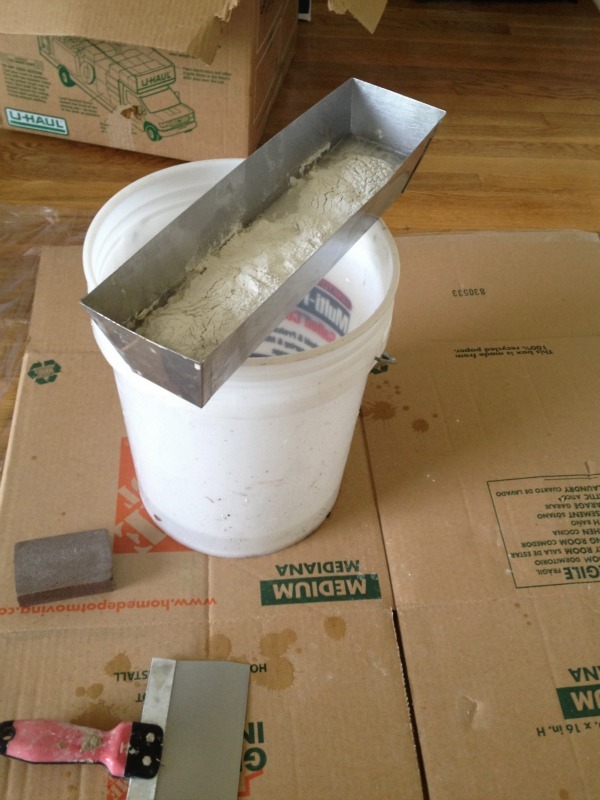 Here’s what you need to float: a bucket, a trowel, a sanding block, and joint compound. Here’s the goo waiting to be turned into a real wall! Then, start floating…! My motto was thinner is better, and layers are good. Here is layer numero uno. Oh and clumps are bad. But, clumps can be fixed with the block sander. The block sander cures all. Then wait for your the goo to dry, and use your sanding block with a little water to sand it smooth. Just rub your hand over the wall and make sure you don’t feel ay rough patches. After it’s sanded, mix up another batch and add layer 2! And here she is textured, primed and ready to be painted. 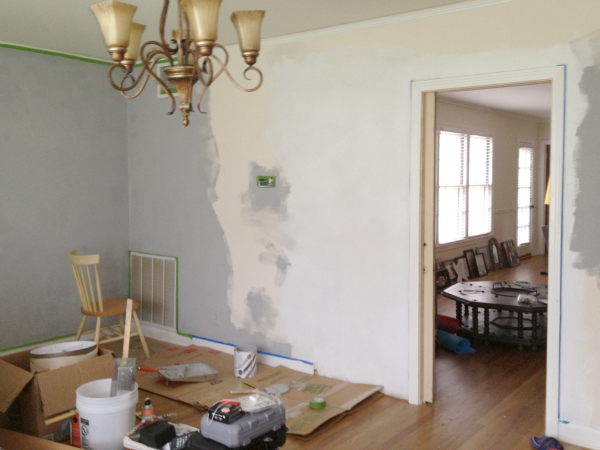 As you can see, I was waiting to finish the dang wall so that I could finish painting the room! And here is the pocket door (almost) finished! Yep, that line is paint! Since this is the only room in the house with chair rail we could not steal it fron another room and we could not find an exact replica at any home improvement store, so for now we painted a white line! One of these days, Andy is going to carve us a piece of molding! The bottom molding was a little easier, Andy stole it from a closet installed is right there! Phewww. Pretty happy that’s over. 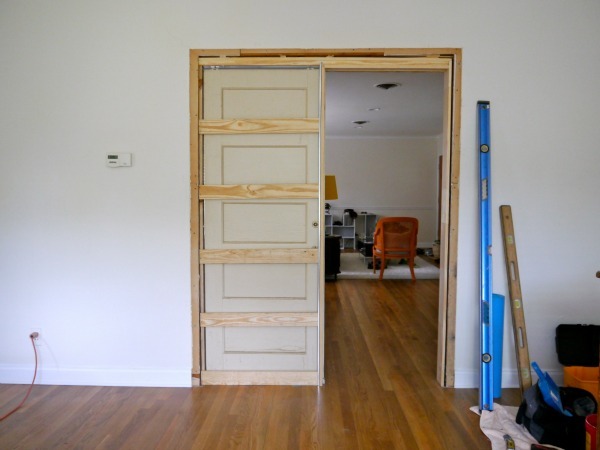 We like the pocket door, but it was not the most fun project of all time. 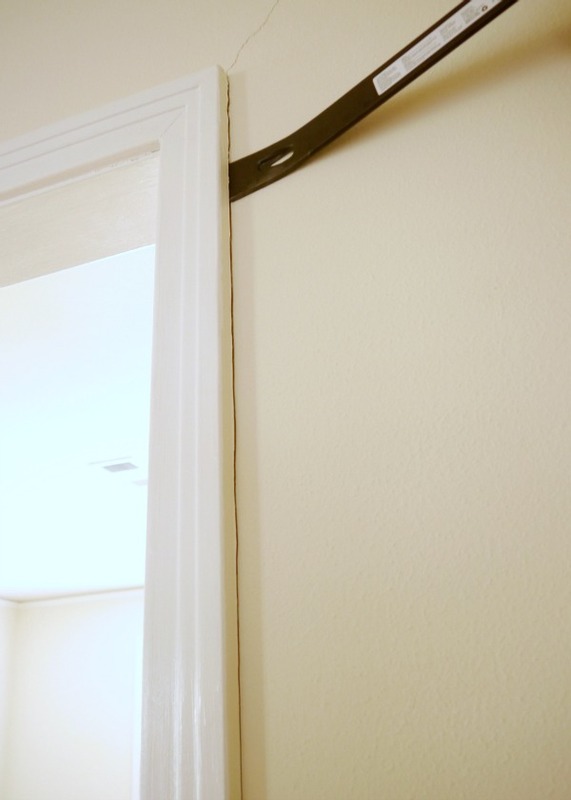 What do you think about pocket doors? Have you ever installed one? 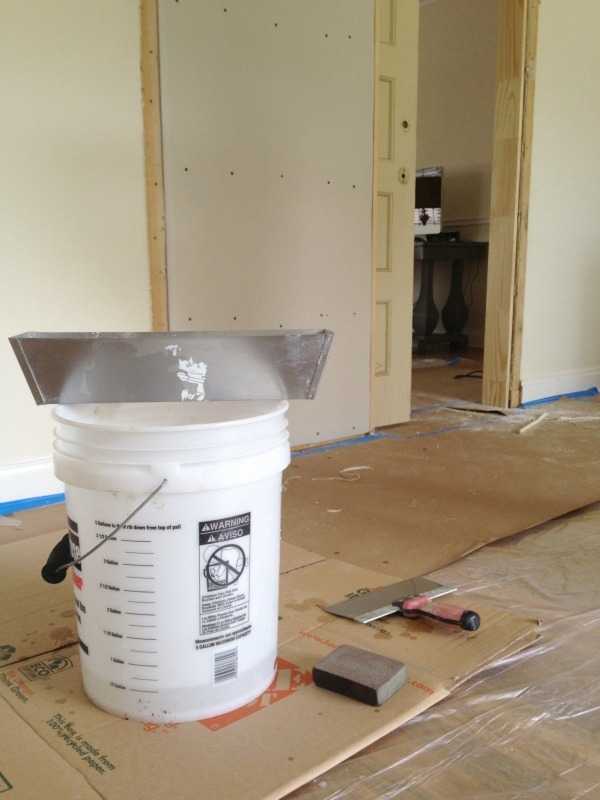 Have you ever installed dry wall or my favorite… textured dry wall?! 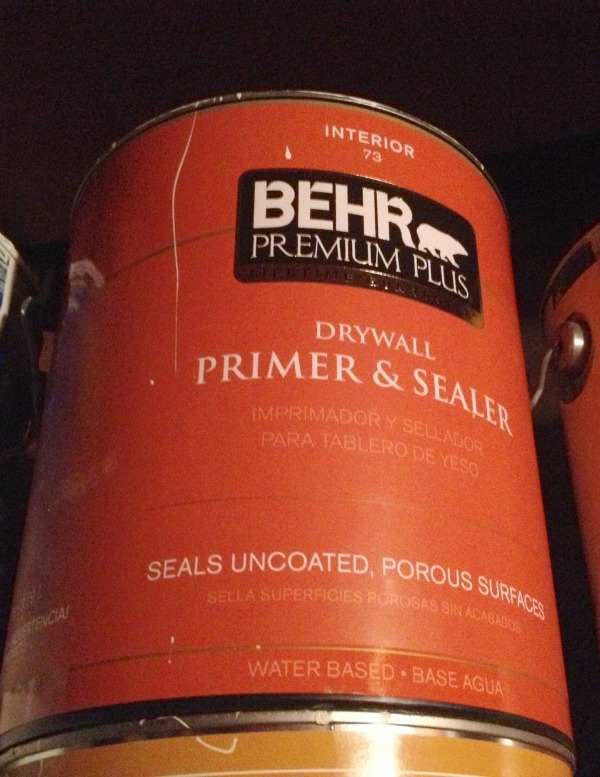 What do you think about our painted molding? The door does look great, you did do a great job on the installation and it was neat to see the process and the great color choice and the surroundings on your side look nice, but from the other side, the single door in the long wall doesn’t look good, I would have done as they did in times bygone and installed a double, center opening pocket door setup, this would allow the aesthetics of the wide visual into either room as part of the same house, with a wide open appearance of living space, and not almost like some type of addition. You still would accomplished the same thing, but the visual would have much more appeal. Thanks for sharing. 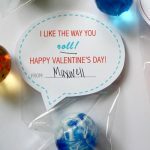 The best part was admitting the reliance on asking for help when you needed it, that is the BEST advice to give to any DIY person towards any future endeavor. An ounce of advice is worth a pound(ing) of nails. God Bless. Double pocket doors would have been awesome, but a ton more work, ha! Wouldn’t have imagined, you could really build these by yourself (or even with a little bit of help…). And I really adore the colors – the gray walls and the darker wooden door! 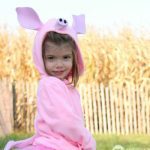 Thank you so much for this post – you guys did an awesome job! I want to install a pocket door and this was the motivation I needed! Saw this on Dwellinggawker…. 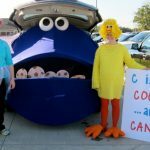 My jaw dropped… I’m completely amazed. SO SO good. Wow! Great job I am impressed! I would not have thought of this. So, is there any way to have made that a double hung door? 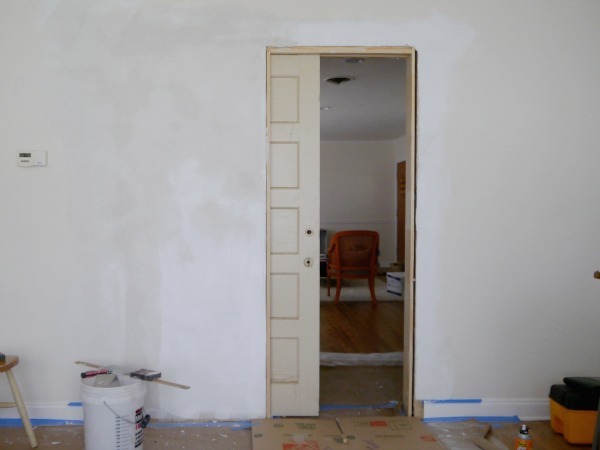 It seems like you needed the existing doorway to be double the size of the door that you hung. 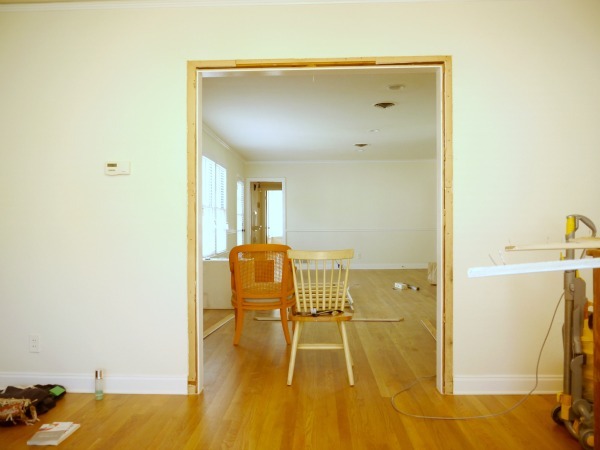 Can one put in a pocket door where there is not already an existing open space? Found this post because I’m about to do a similar project (for airbnb purposes as well). 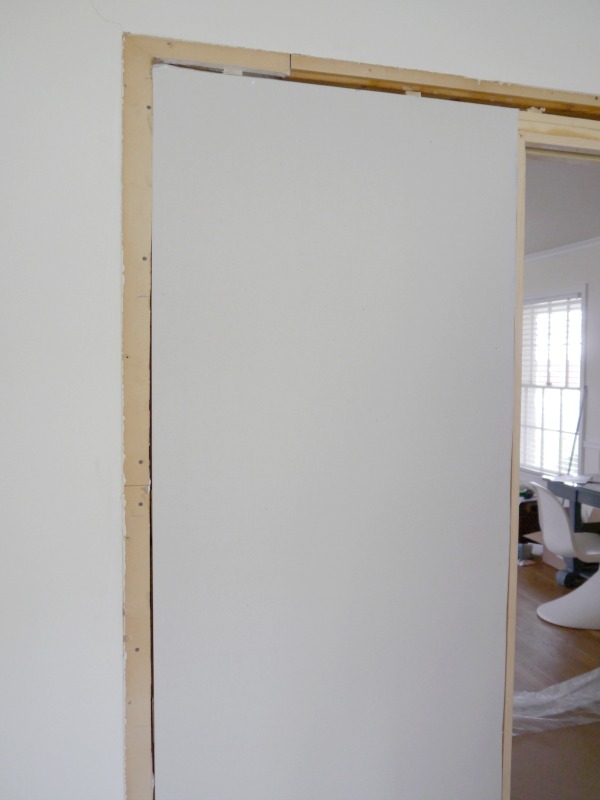 I’m going to do double pocket doors, but it will be a newly constructed wall. I’ll let you know how it turns out. Thanks for the post. I’m guessing the airbnb thing is working well. Nice job , great new look thanks for sharing .. This is exactly what I want to do and my husband and a handyman we had come look at it said it was going to be to difficult. Can you tell me if you had to cut the flooring where the door frame was installed? This is what my husband thinks needs to be done and then all of the floor needs to be replaced. Thank you. I know this project was from a while ago. You did well! The whole project is beautiful.. It should be renamed, though, for search engine clarity from “How to build a pocket door” to “How I installed a pocket door”. 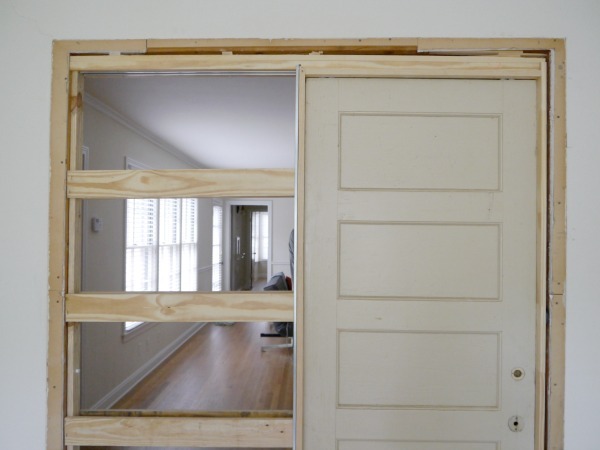 You didn’t really build a pocket door, you installed one. Good point! It is definitely more of a install! Put on some shoes!! Flip flops…really! ?